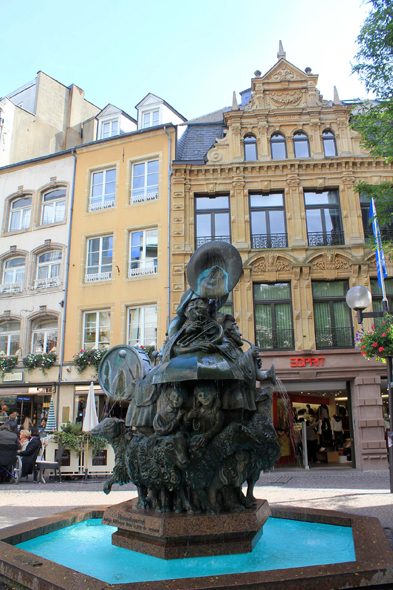 The fountain Hämmelsmarsch. Four musicians are surrounded with so many sheeps and two children sheltered under an umbrella. They announce the beginning of Schueberfouer by playing Hämmelsmarsch (the walking of the sheeps) which begins traditionally the carnivals in the Grand Duchy.